The following is a list of past events of interest to the ice coring and glaciological community. You can also view a listing of upcoming events. CL1.11/CR5.6 The state-of-the-art in ice coring sciences (StatICS). The abstract deadline is 10 January 2019. The half-century since the first deep ice core drilling at Camp Century, Greenland, has seen extensive innovation in methods of ice sample extraction, analysis, and interpretation. 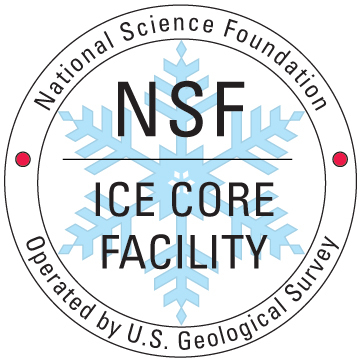 Ice core sciences include isotopic diffusion analysis, multiple-isotope systematics, trace gases, and their isotopic compositions, ice structure and physical properties, high-resolution analysis of major and trace impurities, and studies of DNA and radiochemistry in ice, among many others. Many climate and geochemical proxies have been identified from ice cores, with ongoing effort to extend their application and refine their interpretation. Great challenges remain in the field of ice coring sciences, including the identification of suitable sites for recovery of million-year-old ice; spatial integration of climate records (e.g. PAGES groups Antarctica2k and Iso2k); and deeper understanding of glaciological phenomena such as streaming flow, folding of layers and basal ice properties. This session welcomes all contributions reporting the state-of-the-art in ice coring sciences, including drilling and processing, dating, analytical techniques, results and interpretations of ice core records from polar ice sheets and mid- and low-latitude glaciers, remote and autonomous methods of surveying ice stratigraphy, and related modeling research. The Workshop on the Dynamics and Mass Budget of Arctic Glaciers & the IASC Network on Arctic Glaciology Annual Meeting will host a cross-cutting activity of the Marine and Cryosphere working groups of IASC: “The importance of Arctic glaciers for the Arctic marine ecosystem”. Present and discuss new results on observations and modeling of the dynamics and mass budget of Arctic glaciers, including the Greenland ice sheet. Provide a forum for glaciologists to present and discuss their work and to stimulate future collaborations. Plan and coordinate field work with the aim of using available infrastructure and logistics in the most efficient way. Participation is open to everyone interested in Arctic glaciology and proglacial marine ecosystems. The cross-cutting activity aims at bringing together people from glaciology, marine ecology and oceanography. The Geological Society of America (GSA) will hold its 130th Annual Meeting from 4-7 November 2018 in Indianapolis, Indiana, USA. GSA is a global professional society with a growing membership of more than 26,000 individuals in 115 countries. GSA provides access to elements that are essential to the professional growth of earth scientists at all levels of expertise and from all sectors: academic, government, business, and industry. The Society unites thousands of earth scientists from every corner of the globe in a common purpose to study the mysteries of our planet (and beyond) and share scientific findings. The 25th annual West Antarctic Ice Sheet Workshop will be held this September at Stony Point Center in Stony Point, NY, followed seamlessly by the Thwaites Glacier Program meeting. The WAIS Workshop begins Sunday late afternoon, September 16 and ends with a 1-1/2 day section on Thwaites and Pine Island Glacier and the planned Thwaites Glacier Program. On Wednesday afternoon, the discussion will turn to the Thwaites Program preliminary research and coordination, concluding Thursday with discussion on logistics for the future proposed field seasons. Please consider the relevance of these later sections to your own work when planning your stay. Registration fees have not yet been determined, and we welcome people to attend both meetings or the one of most interest. More information will be shared in the coming months through this list.